We all get to the point of needing a little help in the garden, whether it’s a total redesign, rebuild or maintenance. All these tasks can be just a one off or a regular just just getting someone in to do the boring bits we don’t enjoy or even the bits we can’t do, either from not having the skill sets or equipment to things in the garden. During this little series, I am looking at this from not only the customers view but also as mine, working as a professional gardener covering practical gardening as well as planting plans and consultancy. Hopefully this will give you a little more information about the right questions to ask, what to look for and how to make a good choice for your garden and you. For me the first thing would be to sit down with some paper and spend a bit of time working out what work you would like done in a little bit more detail. What may seem common sense to you, may not to someone else, coming into the garden for the first time. If it’s a new garden you would like done, double check boundary lines, who owns which fence/wall, think about how much you have to spend and plants or ideas you like. If it’s landscaping, again think about the size of area you would liked done, materials you like, money you have to spend and with maintenance, there is a little more to think about, work out what jobs you would like done, with grass, how often you want it mowed, the height, feeding, scarification etc and even with hedges, what height to trim at etc. You aren’t looking to produce a timetable for works just a list of the tasks you would like to have carried out, all this saves so much confusion when walking around the garden and saves the opps nearly forgot that bit there, that happens regularly. This list can also help you decide what type of gardening service you need. There are so many types of services, it can be confusing what service that may best suit your needs. So here’s a rough rundown about what they are and what they do. Landscape architects or designers. They design bigger spaces that are mainly almost without boundaries, like large estates, new building estates, ideal to use if you have a very large estate. Landscapers. They are the builders in the garden, anything you would like built from a whole garden to just a small part, these are the ones to go for. They differ from general builders from a much greater understanding of materials and how things work within the garden. Some landscape companies do offer design as well. Gardeners. Gardeners can look after your garden, all the above indeed can be classed as gardeners as they all work within the garden, but the term gardeners generally means they maintain and develop the garden. All gardeners are different, some are able to carry out all the above while others just prefer to cut grass or indeed work on the more skilled areas of gardening like pruning. Some of these areas can be mixed up, with gardeners being able to do garden design, landscaping, lawn maintenance and consultancy, landscapers offering design, build and aftercare and designers offering to do planting and aftercare too. Charted institute of Horticulture. This covers all the above groups. To become a member, you must meet a set amount of points depending of qualifications and experience. Fellows are the highest form of members with a few gaining Charted memberships. Members are allowed to use Chort for chartered members, FCIHort for fellows, MCIHort for members or ACIHort for associate membership. Institute of Landscape Design is the body for Landscape designers. It has a very strict entry requirement and ongoing training for members so they can become chartered landscape designers. Only chartered members can use CMLI, fellows FLI and teachers AMLI. Society of garden designers. Is the main one for garden designers. It has two main categories for qualified designers. Pre-registered members are qualified designers working towards becoming a registered member, registered members have their work assessed and approved by the SGD. Professional Garden Consultants Association is designed for professionals who offer consultancy as part of their service. Members have to be a member of of the Charted Institute of Horticulture and one other like Society of Garden Designers, The professional Gardeners Guild, have at least 10yrs experience in their chosen field and pass a Admittance and Standards Training Workshop. Association of Professional Landscapers is one of two trade associations. The members are mainly focused on the domestic market. The members have to been trading for 2yrs, have at least 6 references from clients, agree to follow a strict code and have paperwork and work inspected once per year, indeed it is the only trade body that checks it’s members so vigorously that they are accepted into the governments Trade Mark scheme. The British Association of Landscape Industries (BALI) covers landscapers, designers and maintenance. They cover all types of property from small gardens to big public areas. They have to agree to abide by a strict guidelines, have paperwork and quality of work checked, provide at least 10 customer and 2 trade references. 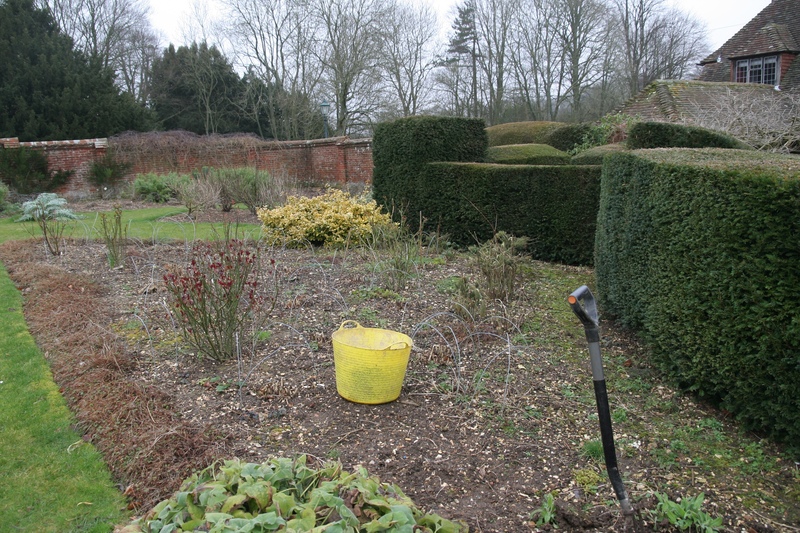 The Gardeners Guild is the only trade body just for those who provide garden maintenance and aftercare mainly focused on the domestic garden side. Most the members are sole traders or small companies. Each member has to prove they have a horticultural qualifications to at least RHS level 2. These will have you understand the memberships they may have and can be a great place to find a new person that fits the bill perfectly. They are many talented people who aren’t members of any groups, they go by word of mouth many and are great if you here about them. But the above can be a good place to start. They all have member lists and also many of them have arbitration guild lines that will help you if there is a problem. Next time I shall look into choosing someone or a firm to carry out the works you need, giving you clues on what to look for, what things the firms need to work legally in your garden.